In a few days, a local planning committee in East London will rule on a proposal to build affordable housing at the former Walthamstow dog track. If the housing application is approved, it will mark the end of a sad chapter for dogs in London. Countless greyhounds suffered catastrophic injuries at the facility during the decades it was open, and every dog lover should hope that the housing application is approved. A local campaign by greyhound trainers, however, is continuing to push for the track to be reopened. 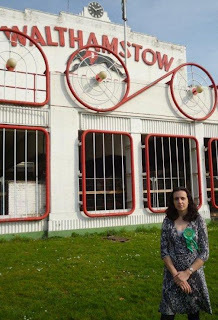 After Walthamstow closed in 2008 a group of trainers, including Ricky Holloway, formed Save Our Stow (SOS). Since then, SOS has reached out to community leaders, politicians and the media in an effort to revive dog racing at the track. "SOS have cleverly tried to portray themselves as a community organisation, in fact they are a pro-racing body." "These seem to have some significant shortcomings of their own, even if you set aside the economic illiteracy and animal welfare nightmare that is the return of greyhound racing." Incidentally, later this week London citizens will head to the polls and local dog lovers would do well by casting their ballot for Allen. "Saveourstow has been saying for ages that L&Q’s scheme is non-viable-they will lose £30m of part public money should they build their development." Londoners should be skeptical of this claim, which after all is being made by a group of greyhound trainers with a direct financial interest in the proposal being rejected. The statement is also deeply ironic, in light of the fact that the same greyhound trainers want government subsidies for their businesses. "I would go knocking on government's door." That's right. Apparently, there are two Ricky Holloways. One Ricky Hollway is a fiscal conservative who doesn't think the government should subsidize housing. Meanwhile, the other Ricky Holloway wants to "go knocking on government's door" and ask for a taxpayer bailout for greyhound trainers. In light of this hypocrisy, perhaps the SOS campaign should be renamed. 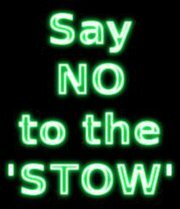 Rather than Save Our Stow, they would be more aptly called Subsidize Our Sport. Hopefully, elected officials in London will see through this smokescreen and do the right thing by approving the Walthamstow housing proposal. 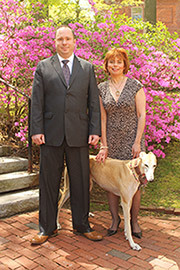 The lives of greyhounds could depend on it.